SVERD är koordinator för ICDE_ ON_Boldic i partnerskap med ICDE perioden 2015-2017. Internationella rådet för öppen undervisning och distansundervisning (ICDE) vill stärka samarbetet och effektivisera sin verksamhet genom att starta fyra operativa regionala nätverk av medlemmar globalt. – Svenska Riksorganisationen för Distansutbildning (SVERD). Lanseringen av de regionala operativa nätverken träder i kraft från och med januari 2016. Lanseringen tillkännagavs av avgående ICDE ordförande Tian Belawati, VD för Universitas Terebuka, Indonesien (UNISA) vid den 26: e ICDE världskonferensen , Sun City i Sydafrika., den 16 oktober 2015. Det var över 900 delegater från över 67 länder som närvarade vid evenemanget. De operativa nätverken kommer att vara viktiga informations och kompetensbryggor för distansutbildningsfrågor och flexibelt lärande frågor lokalt, regionalt , nationellt och globalt. SVERDs representant i nätverkssamarbetet är Ebba Ossiannilsson SVERDs vice ordförande. 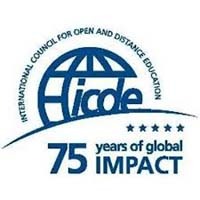 In recognition of the importance of strengthening cooperation and reinforcing the impact of activities of the International Council for Open and Distance Education (ICDE) and its network of members globally, ICDE have launched a regional Operational Network. The ICDE Operational Network has been launched in partnership with the African Virtual University, Kenya, Swedish Association for Distance Education, Sweden, The International University UNINETTUNO, Italy and Universitas Terebuka, Indonesia. The launch of the regional Operational Network will come into effect from January 2016. Its launch was announced by outgoing ICDE President, Tian Belawati, President of Universitas Terebuka, Indonesia, at the 26TH ICDE World Conference that was hosted by UNISA in Sun City, South Africa on the 16 October 2015. Over 900 delegates from over 67 countries were in attendance during the event. The purpose of the ICDE Operational Network is to strengthen ICDE as membership driven organization and offer a regional localised support structure. In addition, it will strengthen the visibility and representation of ICDE around the world and increase ICDE’s operational capacity, global insight and it will support global knowledge exchange. Gard Titlestad, ICDE Secretary General said “We are very much looking forward to working in partnership with the regional ICDE Operational Networks. It enables ICDE to offer a more localised, personalised on the ground, support network system and offer its members regional tailored events and resources, something that is very much needed”. For the regional partners, the benefits of being an ICDE Operational Network is extensive. It enables them increased regional and global visibility, access to ICDEs’ extensive global network and insight into the daily operations of ICDE, the leading global membership organization for open, distance, flexible and online education, including e-learning. For media enquiries: please contact Gard Titlestad, Secretary General of ICDE, by email to titlestad@icde.org or by calling+47 48 10 80 96.